The RX-8 was the last of the line for production rotary engines from Mazda or any other manufacturer. 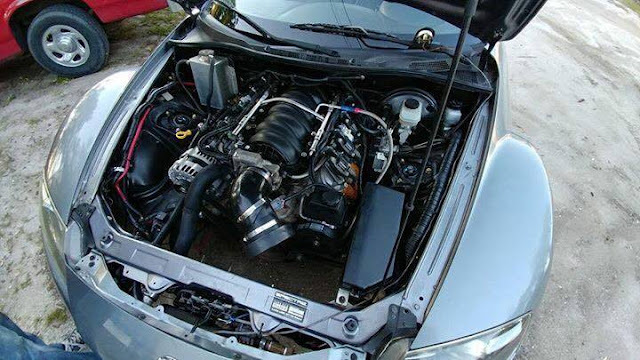 It wasn't a bad car, but it wasn't the fastest thing from a Japanese dealer when new and cars haven't gotten any slower...HOWEVER, the chassis was sublime, so it makes the perfect donor car for something with some piston rings. 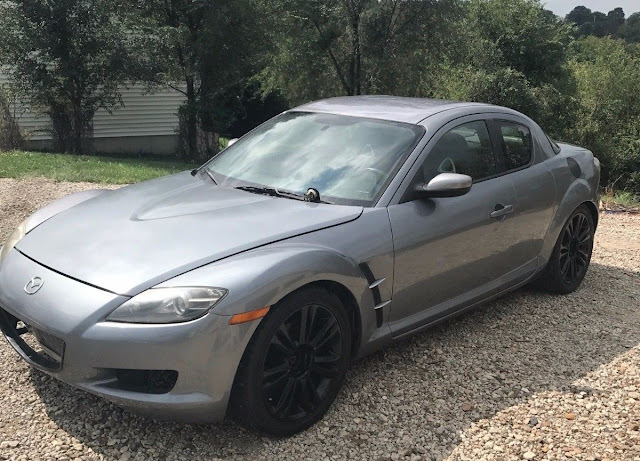 Find this 2004 Mazda RX-8 here on eBay bidding for $2,350 with 3 days to go, located in Kansas City, KS. Bose radio system works and sounds great! Motor was swapped in 2011 from a totaled 2007 Tahoe with 20k miles. Fuel cell with bigger pump, filter, etc. I will include some uninstalled parts: whiteline poly diff bushings, 5" tach, hotsystem gauges - water temp, oil pressure, oil temp. Car runs great and is super fun, but I've got my eyes on a different toy so this one needs to go. This car gets tons of attention anywhere you go! Has a p/s leak at the rack, would get more angle with a miata rack. Small vibration at 80mph, this might be from front coilover shock being slightly bent (new $115 from megan). Front fender needs re-sprayed. This car is also for sale locally and I reserve right to end this auction at any time. I can offer delivery quotes if requested. Paypal ONLY accepted as a deposit. Cash or cashiers check only! Mazda made a point to create an almost mid-engined placement on these cars. One has to think that a tiny Wankel is a small fraction of the GM lump. I guess if the guy who built had superior skills he would have finished it.